A few images that reflect daily life in the Hunter Valley around the 1900's. The Nesca home hints & cookery book, provides a window into the home life of Australians in the 1930's. The opening of a mine often inspired the growth of a township. Kurri Kurri, Catherine Hill Bay, New Lambton and Minmi all thrived after a mine was established nearby. Life and work grew up together, and the community was connected with a depth that is difficult to imagine in the modern era of 'fly in fly out' workers. During the nineteenth century the mining companies often owned the land as well as the miners’ homes. This brought uncertainty to the life of miners, who could lose their house if their employ was no longer required during slumps in the mining industry. It also made it difficult for miners to strike for better wages and working conditions. Miners often moved their families from one area of prosperity to the next as mines opened and closed, sometimes residing in tents where housing was yet to be constructed. Mine managers had finer, larger, more permanent homes with rich furnishings. Everyday workers lived in miners’ cottages, which were small and constructed of basic materials including timber and iron. 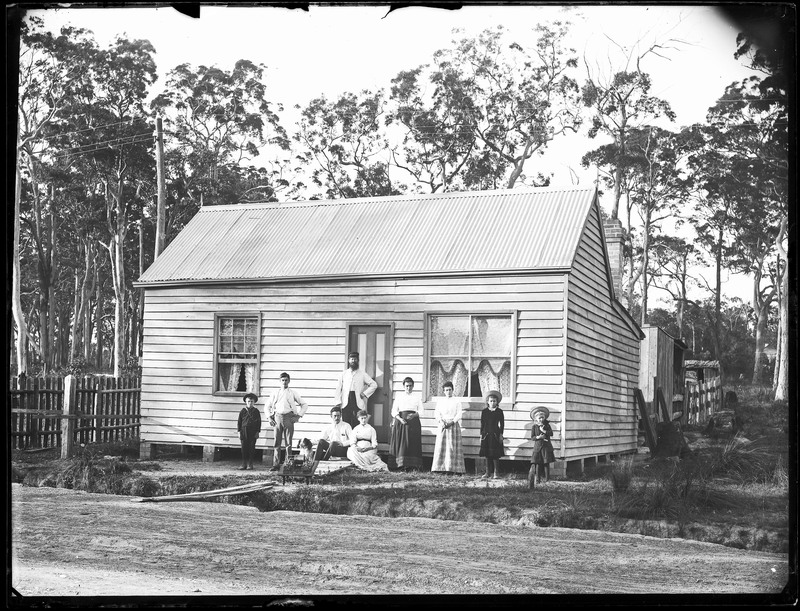 Workers enjoyed spending the weekends with their families; photographs from the nineteenth century often depict family gatherings such as parties and picnics. Hilton's house, Young Wallsend (Current day Edgeworth). From the Ralph Snowball/Norm Barney Collection, University of Newcastle, Cultural Collections. This house is typical of a miners’ cottage.